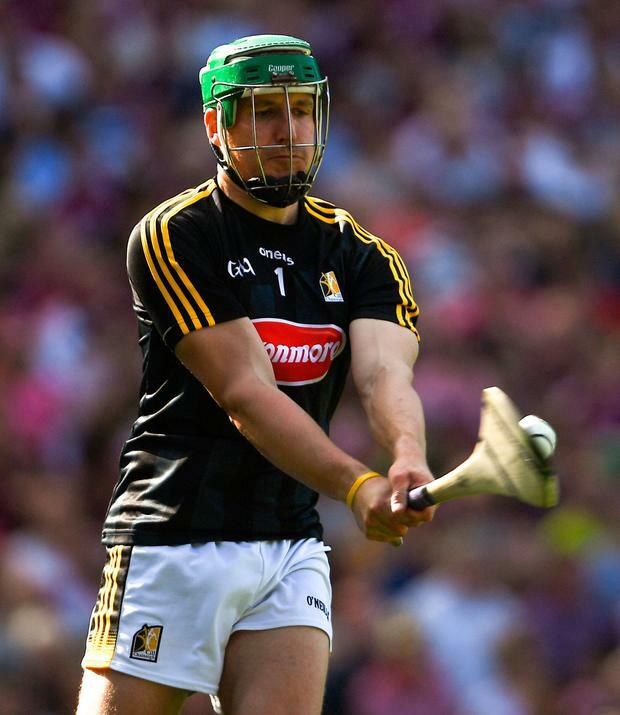 Kilkenny goalkeeper Eoin Murphy insists the Cats will be in the shake-up for All-Ireland honours if they can use the league to give some of their new faces more experience. Brian Cody's men have won one and lost one of their two games so far in this campaign and are preparing to welcome All-Ireland champions Limerick to Nowlan Park on Sunday, which is sure to be a stern test of their credentials. The Cats are fifth in the betting at 6-1 to reclaim Liam MacCarthy, behind Limerick, Galway, Cork and Tipperary. But the Glenmore man insists that they have the talent to make the breakthrough. "I don't think we were too far off it last year," Murphy said. "We probably had two bad games where we felt we didn't do ourselves any sort of justice. "That was the Leinster final replay and then obviously the game in Salthill when Galway dictated the game from start to finish. "So we had no real say on it, we had a couple of lucky breaks down in Thurles (against Galway in the Leinster final replay) but I don't think that affected the overall game, maybe kept the scoreline glossed a small bit." The Cats eventually went down to Limerick at the All-Ireland quarter-final stage by two points but Murphy thinks they could have won that. "It's all about finding that consistency where we are putting ourselves in a position where we are not chasing the game. "In the Limerick game in the first half we went maybe 0-5 to 0-1 up after about 10 or 12 minutes. "Even for the period of 10 minutes after that, I think we drove six or seven wides from players who it would be uncharacteristic of and if you gave it to them again 99 times out of 100 they'd be confident of scoring. "They ended up getting a run of scores, but if we had taken even half of those chances who is to know how the game would have finished up. "But that's the way it is, I don't think we are too far off. "We'll blood a couple of players in the league this year and I think that's vital." Murphy, the All-Star goalkeeper, has picked up from where he left off last year - pulling off a brilliant save from Patrick Horgan in the win over Cork. "It's a massive personal honour. I said on the night I would have preferred to see 14 other Kilkenny players on the stage as well, and that's obviously being biased. I'll look back on it in 10 years' time when I retire, but now you are just concentrating on hopefully winning a league medal and after that it's Leinster." Colm Keys Galway hurling received a significant lift yesterday with Joseph Cooney marking his return to club action in impressive style for Sarsfields against Kilnadeema-Leitrim. Martin Breheny Twenty-five years ago this month, Nickey Brennan enlivened a mundane GAA Congress with his famous "hurling is dying on its feet" speech. Who has biggest calls to make before lift-off?